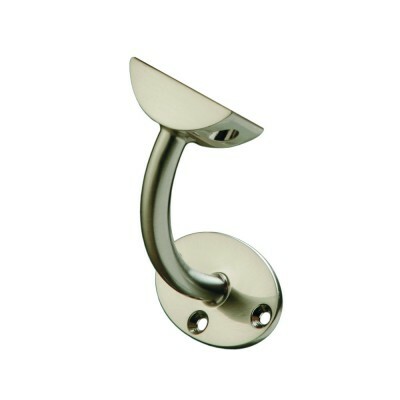 Brushed nickel plated Fusion handrail wall bracket. Made by Richard Burbidge, this premium quality connector enables you to attach your handrail to the wall. Designed for use with the Fusion handrail, but may also fit other handrail profiles. Supplied singly. Important note: If you mix and match different Fusion wall brackets, please make sure that the handrail centre distance from the wall is identical for each type before placing an order.